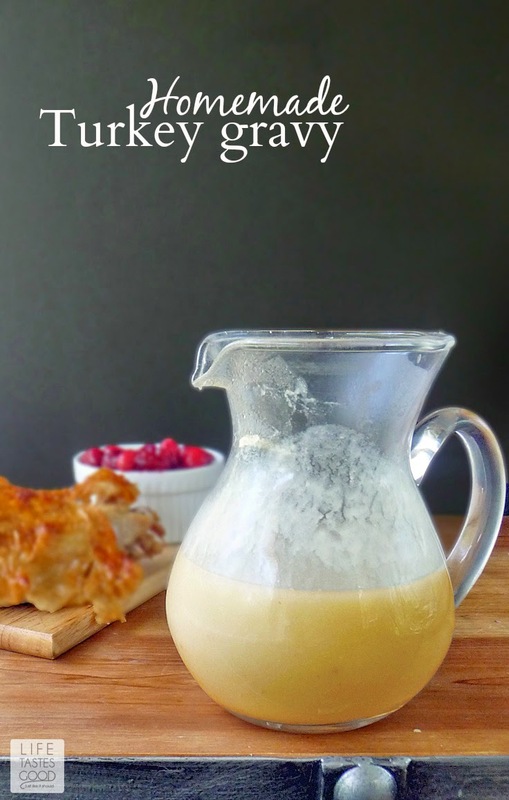 Homemade Turkey Gravy brings your entire Thanksgiving dinner together. It is like icing on the cake! A very important component of the dinner, so you want it to be fantastic, right? Right! That's why we skip the jars and powder mixes and make up this simple gravy while the turkey is resting. It's easy to do, as low in fat as you want it to be, and tastes AHHH-mazing! The flavor and color of your gravy will differ depending on what you use in your pan while cooking your turkey. I use white wine in my pan with a mix of carrots, celery, onion, thyme and always slather the turkey with butter. All of these flavors come together to make a rich, flavorful gravy you can't get from a jar or mix. On Friday, November 14th, I'll be sharing my recipe 'How to Roast Turkey' for a beautifully moist and tender turkey that will be the star of your Thanksgiving dinner! Plus, they'll be a great giveaway, so stay tuned!! Be sure to reserve the bag of goodies you remove from the turkey when prepping it for the oven. 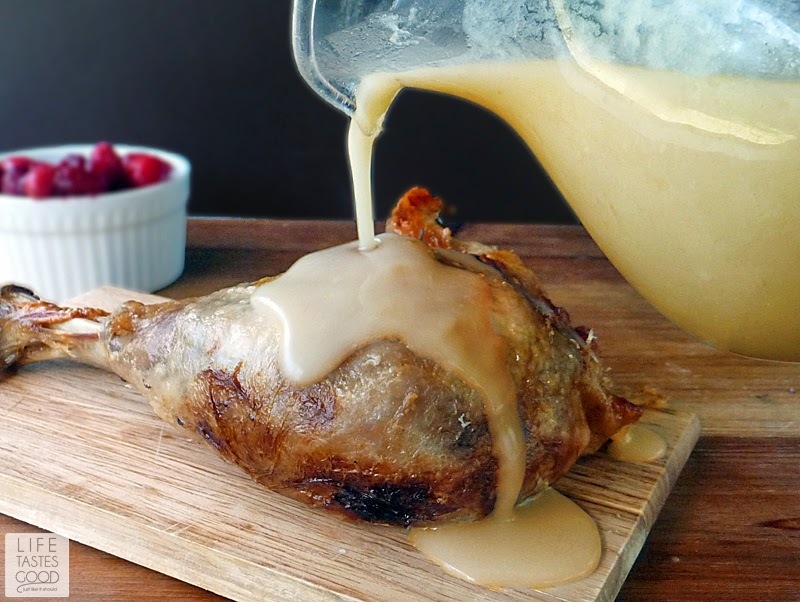 We are going to use the turkey neck and giblets to make this Homemade Turkey Gravy. While the turkey is roasting, you'll make a stock using the turkey neck and giblets. It's really easy to do. You just put the turkey neck and giblets in a saucepan with some celery, onions, salt, and water. Just enough water to cover everything. Then you'll bring that to a boil, reduce the heat, cover and let simmer for at least an hour until the giblets are tender. Once the giblets are tender, remove them from the stock and set aside. Then pour the liquid through a strainer into a bowl to reserve the broth. You can discard the vegetables. If you'll be using the neck meat and giblets in your gravy, go ahead and chop them up. I used to add the chopped neck meat and giblets to my gravy, but my family prefers the gravy without the chopped meat. You just made the broth you'll use to make your gravy once your turkey is done! How easy was that?! See below for complete directions to turn this stock into a delicious Homemade Turkey Gravy. Put the turkey neck and giblets in a saucepan with 1 cut-up stalk of celery, 1/2 cup chopped onions, a teaspoon of kosher salt, and water. Just enough water to cover everything. Bring that to a boil and then reduce the heat, cover and let simmer for at least an hour until the giblets are tender. Remove the turkey neck and giblets from the stock and set aside. Then pour the liquid through a strainer into a bowl to reserve the broth. You can discard the vegetables. If you'll be using the neck meat and giblets in your gravy, go ahead and chop them up and set aside. Once your turkey is done, remove rack from pan and pour the pan drippings in a 4 cup container and let stand to separate the fat. I use the OXO Good Grips 4-Cup Fat Separator. Using the fat separator makes it so much easier. No more skimming fat off the top! Simply pour the pan juices through the spout into a 4 cup measure, stopping when you only have fat left. Reserve 1/3 cup of the remaining fat. Set the pan juices and reserved fat aside. Pour the reserved turkey neck/giblet broth you made earlier into the roasting pan. Stir to loosen the brown bits left behind in the roasting pan. Those brown bits add color and flavor to your gravy, so don't skip this step! Add the liquid and brown bits from the roasting pan to the pan juices in the 4 cup measure. You want to have 4 cups of liquid overall. Add water if needed to make 4 cups. Next, pour the reserved 1/3 cup of the fat into a 3 quart saucepan over medium heat and discard any remaining fat. Add 6 tablespoons all purpose flour to the fat in the saucepan and stir until combined. You can cook this a little longer until the color deepens for a darker gravy. Gradually stir in the 4 cups of meat juice and cook, stirring, until thickened. Add the turkey neck meat and giblets if using. Serve and enjoy! Prep Time: 1 hrs. 00 mins. No Thanksgiving meal is complete without homemade gravy! That OXO Good Grips fat separator sure would be handy to have. I'm going to have to look into purchasing one! I just made homemade gravy yesterday! 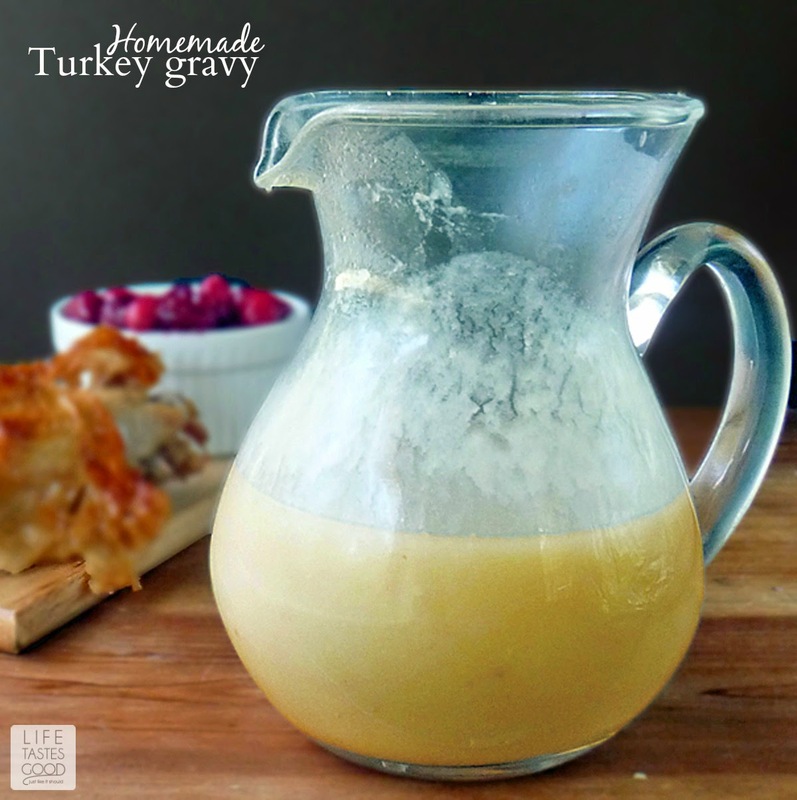 Love gravy, love turkey.. LOVE this time of year and all the comfort food! 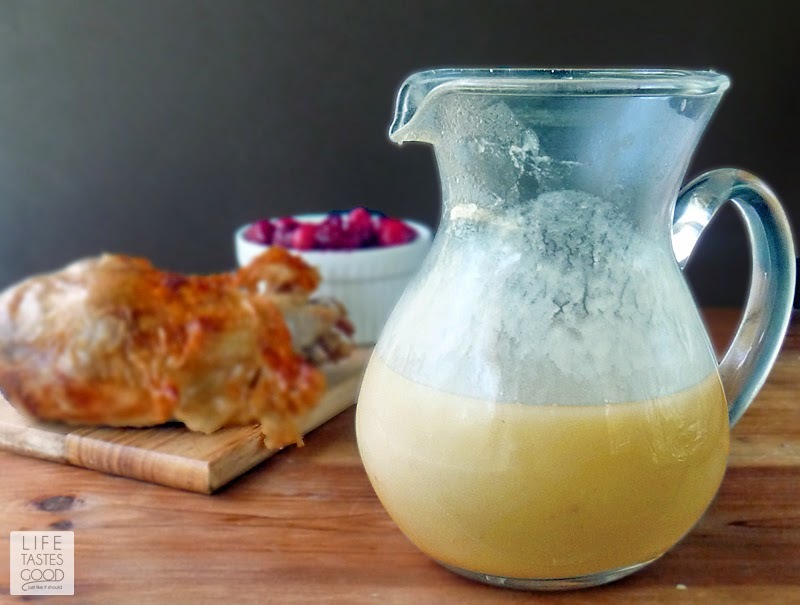 Homemade gravy is the best, and yours looks so amazing. Definitely adding it to my Thanksgiving list! You never cease to amaze. You are so sweet, Rachael! Thank you!! I hope you like this version as much as we do! This is a first I ever has heard of simmering the neck and giblets for the gravy. That is a great idea and I will definitely make your recipe for our Thanksgiving meal! I have always made giblet gravy. I hope you get to try it. It is so dang delicious!! Thanks, Shelby! Think I'll be putting a fat separator on my Christmas list this year. I'm not a big kitchen gadget girl, but it sounds really useful. Beautiful gravy! Stuffing with gravy is always what I look forward to the most! That fat separator is a must on Thanksgiving, but I use it for lots of other things too. I don't know how I got along without it! Come back tomorrow, Erica, and you could win one along with lots of other great OXO stuff! Thanks for stopping by! I never make homemade gravy, but I do make a broth from the giblets for my stuffing. 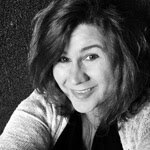 I swear, that is the secret to my moist and flavorful stuffing. I think I'll give this giblet gravy a go this year! Thanks Marion!